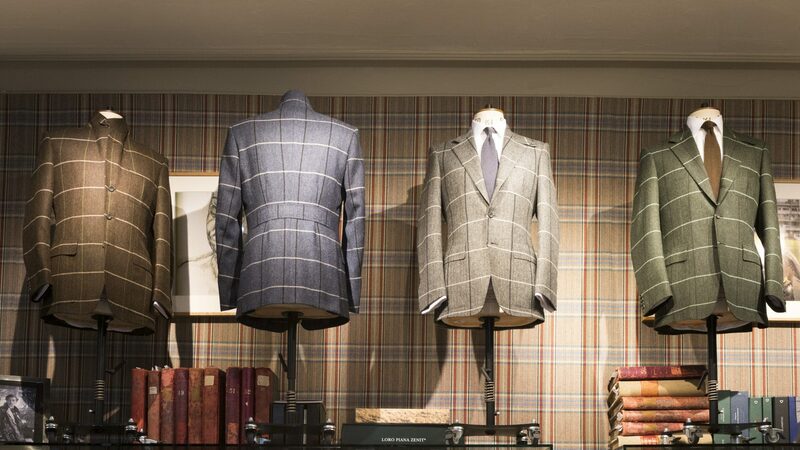 The tweed sports coat is associated with a classic and sophisticated aesthetic yet is completely suitable for most casual settings; Huntsman’s Head Cutter, Campbell Carey, explains how to wear it. 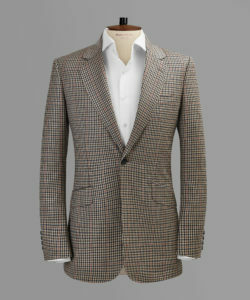 The tweed sports coat is designed to be worn without matching trousers and is traditionally donned to watch outdoor sporting events however in recent years, has become synonymous with smart weekend leisure attire. 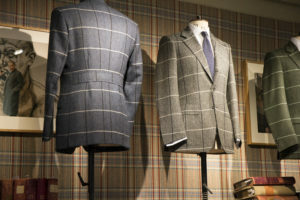 Trousers and a sports jacket form an incredibly versatile outfit, which originally came about from circumstances where a full set of tweeds, or a three piece suit, were considered too formal. 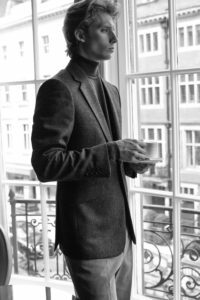 Huntsman is the house of tweed, and the house style is particularly prominent in tweed coats – single button, tapered waist, longer skirt. 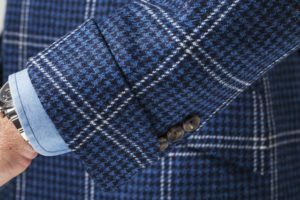 If there is an overcheck in the tweed of a sports coat, it is always a good idea to coordinate the tone of the check with ones trousers. 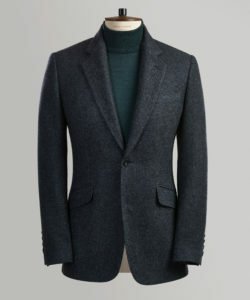 There are many interesting features of the tweed sports coat, which lend themselves well to modern fabrics; waist belted, single breasted, gun pleats, and patch hacking pockets, which are ideal for holding gloves or a scarf. One should avoid unnecessary adornments in a tweed sports coat, unless for field or functionality. The gold standard in sports coat dressing is the Earl of Cawdor in 1924- this is a fine example of Huntsman’s traditional craftsmanship. The 1924 tweed sports coat was returned recently only to replace the buttons with the jacket remaining as stylish today as it was nearly 100 years ago!